What makes this festival significant is the fact that it’s often dedicated to young girls. The dolls’ sets can be surprisingly expensive, sometimes in excess of the equivalent of €5000. 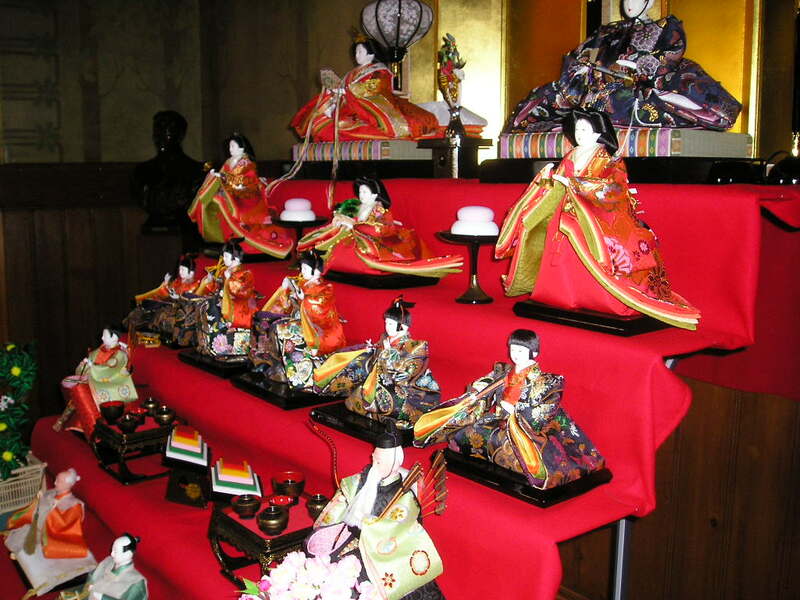 They are often bought for girls for their first Hina-matsuri if a set is not already in the family. In such a way, the importance and preciousness of young girls is celebrated. However, the dolls are not intended to be articles of play. Instead, they are symbolic decorations. The tradition itself is a powerful symbol. The hierarchical, imperial system symbolised by the arrangement, portrays an era when patriarchy dominated the nation. The fact that the dolls are inanimate and exist simply for their aesthetics, it could be argued, is symbolic of how women are treated today, even in Western nations: little more than an image or object for decoration or designed to sell a product. Hina-matsuri, therefore, sends a subversive message about the empowerment and true value of both genders. Such a celebration comes in a world where 14.2 million girls under 18, who would still be legally classed as children in Ireland, are married each year. Around 10 nations of the world still have legal requirements for married women to obey their husbands. In Sierra Leone, data from the World Bank suggests that around a staggering 85% of women are beaten by their husbands, while in Gambia the figure is 74%. The WHO estimates between 100 and 140 million women and girls worldwide have been subjected to the pain, humiliation and subjection of FGM. Although gender equality has made leaps and bounds in many countries, the world is still a place when the oppression of women simply based on gender is, sadly, commonplace. In this climate, a day celebrating the value of women is surely to be welcomed with open arms. The primary roots of gender inequality are often cultural and traditional. It follows that the solutions will involve radical challenges to traditional views for the sake of upholding human rights. Such challenge is exemplified in Jesus’ radically affirming attitude towards women. His female followers were recorded to have stayed by Jesus’ side at the crucifixion even when other disciples, such as Peter, had fled in fear, and were among the first to believe in the Resurrection. Hina-matsuri, likewise, teaches us the importance of critiquing the values of our society to ensure they genuinely are providing the opportunities and rights of which all human beings are worthy.